Combining modern design, a convenient location and a green lifestyle, The Village Green in Annandale, New Jersey is a shining example of sustainable development. The repurposed mixed-use complex will mark its official grand opening with a ribbon cutting on September 10, and developer Richard Meurer is looking forward to showcasing the project’s innovative centerpiece: the adjacent two-acre solar farm that fully powers the complex. 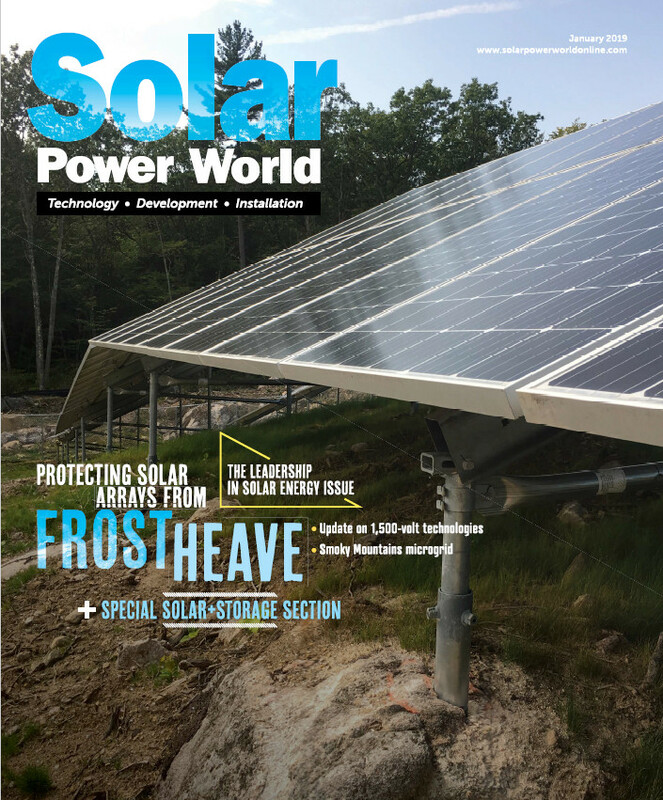 “We are confident that we have built the premier ecovillage in the Garden State,” said Meurer, owner of Annandale-based Meurer Development and founder of Green Power Energy, the sister firm that developed the 322 kW solar farm and a Solar Power World Top 400 Contractor. Located at 47 East Street in Historic Annandale, just off exit 18 on I-78 and steps away from the NJ Transit station, The Village Green offers luxury town homes, apartments, retail and office space, all built utilizing sustainable resources and construction methods. What makes the community truly unique is that all of its electric needs are supplied by the ballasted ground-mounted solar farm that Meurer constructed through Green Power Energy. The farm is directly adjacent to the village on the former Warren Lumber site. 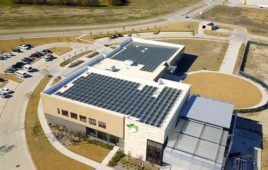 “The original plan was for an adaptive reuse project that would involve renovating existing structures and outfitting them with solar components and energy efficient internal mechanicals,” said Meurer. With this plan in mind, he acquired the lumberyard and its outbuildings in 2010. However, he soon envisioned a more ambitious transformation for the site: a sustainable mixed-use complex, fully powered by a solar farm. Conceived as a “green transit village,” the innovative community would serve commuters who passed through the nearby New Jersey Transit station, incorporate residential development and offer green office space to corporate and retail tenants. The old lumberyard’s footprint was retained, some of its structures rehabbed, and Meurer recycled much of the wood; the original office building, which dates to 1852, is currently being renovated. NJ Transit, whose Raritan line connects Annandale to Newark and New York City, refurbished the adjacent train station after Meurer’s project got the green light. The Village Green’s residences – one, two and three-bedroom apartments and two-bedroom town homes – are 52% occupied, attracting the attention of young professionals and families seeking a green lifestyle without sacrificing luxury and convenience. Retail and office space is available for lease on the ground floor of the multi-family buildings.